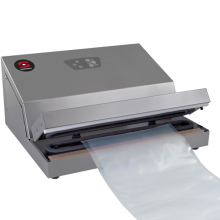 Vacuum packing machines without chamber for embossed bags or containers. Vacuum controlled by sensor. Semi-professional vacuum packing machine. 13l/min. 330mm / 13". 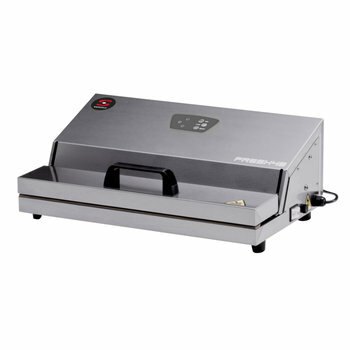 External suction vacuum packing machines. To use with embossed bags of different sizes. Self-lubricated pump: no maintenance needed. 3 welding levels: allows to seal vacuum bags for sous-vide cooking adjusting the welding time.